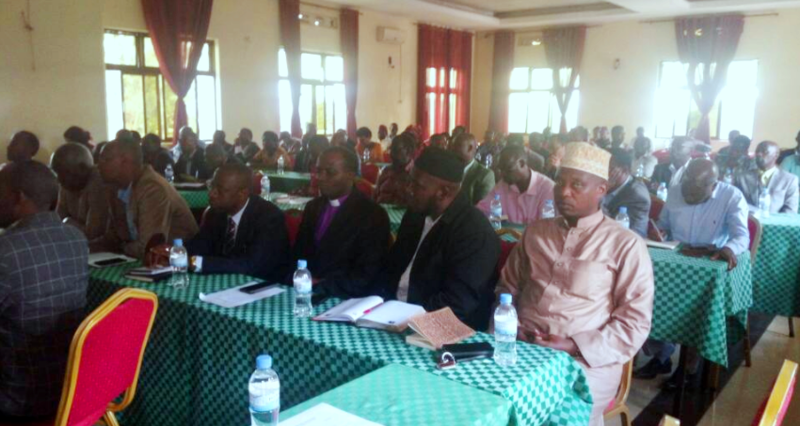 The government of Rwanda has warned it may intervene in religious organisations whose mistakes have become too many and pose a threat to social order. Major concerns include operating in substandard structures, noise pollution, poor hygiene, lack of internal cohesion and no respect for rules and regulations. Prof. Shyaka said that the 2012 law governing Faith Based Organizations is under review. Religious institutions are profoundly operating in substandard structures, engage in noise pollution, poor hygiene, lack of internal cohesion and no respect for rules and regulations. Among the problems highlighted as mistakes done by some Faith based organizations in Rwanda are noise pollution that “deprives the general population of their welfare and security, “wrong” beliefs that sometimes cost lives of the population and church houses that don’t comply with construction and hygiene standards. “There are churches poorly built in such a way that makes you question whether its leaders value God or their church members,” he said. Another church house located in Gahanga, Kicukiro also, was a tent church house while another church house in Kimisagara, Nyarugenge District had no complete rooftop. Minister Kaboneka shared his experience saying one day at about 2AM, received a phone call. A pregnant woman was in labour pain and had started bleeding. She was taken to hospital but when she arrived there, her relatives refused doctors from transfusing blood to her because it was against their religious belief. “I Instructed Doctors to give her blood and I would take responsibility later. The woman survived but the baby died in the process,” Minister kaboneka shared his experience with a heartbreaking situation due to religious beliefs. Meanwhile, Prof. Shyaka noted that “Some churches ask believers to fast until they fall down and die due to much hunger,” he observed. Effective February 16th up to March 16th, faith based organizations in Rwanda will be required to put an end to their internal “disorganization” according to the Minister Kaboneka. “We won’t allow disorganisation in Religious institutions”, he said. “We will never allow any other church to fall down due to their church members, who are, most importantly, Rwandans, and kill them again. We will prevent that from happening again,” he added. He asked leaders of faith based organizations to match their development with that of the country. “It would make us happy if we saw leaders of the FBOs from other countries coming to learn from you as with other government institutions,” Kaboneka counseled. Why Do Pastors Shout While Preaching?